E3 is basically videogame Christmas. So many developers showing up with their wares! So many exciting new projects! What demos will we get to try? What new footage will we get to see? Will Valve finally announce Half-Life 3? (No). But just because the E3 is great doesn’t mean it’s easy. Great people than you have found themselves weeping into their schedule, dehydrated and lost, screaming “WHY? !” into the uncaring crowds. This is a challenge every bit as hard as the hardest game you’ve had to play, but this time with no save game option. It’s procedurally generated every year, so we can’t give you a map. But we’ll give you the best goddamn walk-through we can. This isn’t something you can do on a whim. The sooner you book things, the cheaper they will be and the less likely it is that they are already horrendously oversubscribed, so get your plane tickets and hotel reservations now. Meanwhile, you want to be thinking about what your main targets are going to be when you get there. Take a look at the expected game announcements and decide what you most want to see. 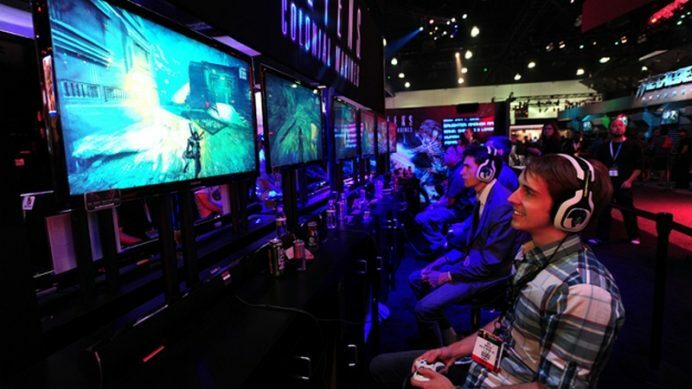 Then get in touch with the companies making those games and book an appointment. These appointments are for industry figures and journalists to come and see the latest games, but even as a regular random guest you can still wangle a few appointments if you ask, helping you skip a lot of queuing. Paperwork you’ll be expected to carry at the E3 includes your barcode and confirmation pass, your confirmations for every press release and booth appointment you have booked, and so many lanyards. You are placing yourself in the hands of the capricious gods of poor data reception and ready-to-fail-at-the-worst-moment phone batteries. Trust me, paper is the one true way here. Similarly do not ever remove your lanyards. You may look like the convention-going equivalent of Mr. T, but the moment you put one of those down it’s going to disappear forever and they are a nightmare to replace. If you’ve planned effectively you will spend a lot of time bouncing from one event to the next at E3, but not all your time. You should manage your schedule so that’s a bit of buffer time between sessions to eat, drink, and sit rocking quietly for a bit. It should also give you some time for some unscheduled wandering around the floor. A good tip if you want to try a bit of spontaneous game hunting is to go for first party booths, not the developers. If you’re looking for a triple A game, try checking out the Sony or Microsoft stalls. These stalls usually have loads of third party games on show, but no queues because nobody comes looking for them. Finally, resist the urge to go full kid in a candy shop. There is lots to see here and you won’t have to see all of it- no, you won’t. Focus on the things you really want to see, see as much as you can, but remember, you’re here for fun. Don’t stress yourself out about it.